With 2011 in our sights, many of 2010’s finest moments and achievements are being recapped (see my “10 for ’10” series). The year’s reigning box office champ was not even a 2010 release but rather James Cameron’s “Avatar,” which made more this calendar year than “Toy Story 3” did in its entire run. In too many factoids to link back to, I have championed streaming and on-demand as the new frontier of movie rentals. I’ve totally embraced it as I have 70+ movies in my Netflix instant queue and 3 movies waiting to watch on iTunes. I always love it when movies are available day and date because I’m not too eager to leave my couch/bed to rent a movie. If I hear that a movie is coming out on video (which I always do), I get upset when I can’t just hit a button and have it ready to watch on my Apple TV. Lesson learned, Fox? You couldn’t do much to keep “Avatar” from losing Best Picture, but you could have helped it win this award to add to a superfluous stack. Best Picture nominee “Alice in Wonderland.” Only at the Golden Globes, right? But could it happen at the Oscars? As a major dark horse, it could happen. I think the nomination for “The Blind Side” last year was just a perfect storm of events – the money, the publicity, the truth, and the heart. But what if it was just the money after all? What if Academy voters slipped in “The Blind Side” just to balance out a movie like “An Education” which hadn’t made $10 million? It’s likely that “127 Hours” will barely clear that same mark, and what better than the second-highest grossing movie of the year to cancel it out? (I’m only playing devil’s advocate, of course). I don’t think this will actually happen, and judging by the poll, you don’t either. 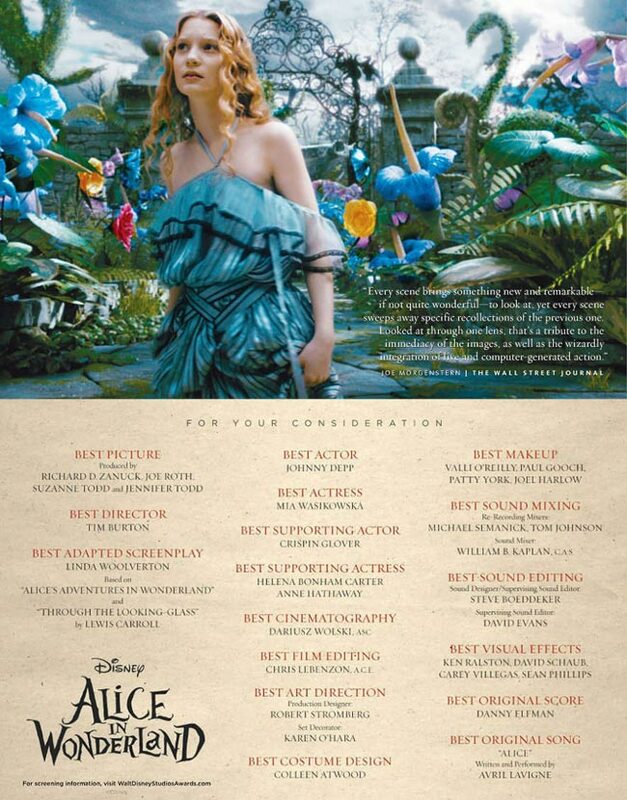 3 out of the 4 voters in the poll said they didn’t think “Alice in Wonderland” had a shot at a Best Picture nomination. One brave voter dared to say it would. Good luck with that prediction, and I pray to a high power that you are wrong at the sake of the Academy’s credibility as a voting organization. Sandra Bullock got a lot of press for her movies in 2009, and it has followed us into 2010 as well. 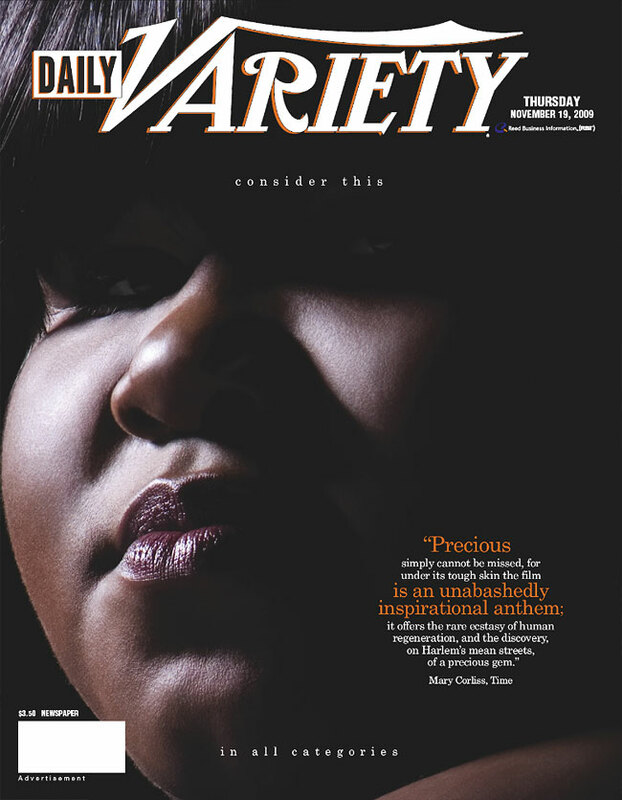 She chose three distinctly different films: a romantic comedy (“The Proposal”), an inspirational sports drama (“The Blind Side”), and a more off-beat comedy (“All About Steve”). And in each of these movies, she portrayed a wide range of women. In “The Proposal,” she played a woman who discovers that she needs more than corporate success to fill the void that a family leaves. In “The Blind Side,” she has received acclaim for her performance as Leigh Anne Tuohy, the mother on a mission to give opportunity to a deserving child. Most people are so enamored by those two that they are willing to turn a blind eye to the scorned “All About Steve,” where Bullock enters more familiar territory by playing a bumbling klutz who falls madly and hopelessly head-over-heels for a guy who couldn’t care less about her. Despite what you may think the movie “All About Steve,” it’s hard to take great fault with Bullock’s performance. She makes the best of a horrifically written character, refusing to lay down and die. By no stretch of the imagination am I saying that the goofy crossword puzzle crafter Mary belongs in the same league as Gracie Hart (“Miss Congeniality”) or Lucy Kelson (“Two Weeks Notice”) – and it shouldn’t be mentioned in the same sentence as the racist Los Angeles housewive Jean Cabot from “Crash.” We can wonder all we want about why she chose this movie, but it’s total face plant is not her fault. Today, the crowd-pleasing movie crossed $200 million at the box office. This is a number that cannot be ignored – people love this movie. Only 17% of its take has come from opening weekend, a towering statistic which shows that the movie has survived on repeat business and word of mouth. The movie has inspired and excited Americans, and the buzz even led to a full-hour special on “20/20” last night. So, we have to wonder, is this a dark horse Best Picture candidate? The movie could be buoyed to the top by Sandra Bullock. Her year, which also included the smash hit “The Proposal,” has earned her attention and raves. Her performance in “The Blind Side” has brought nominations from major groups such as the Golden Globes (who also cited her for “The Proposal” in comedy), the Broadcast Film Critics Association, and the Screen Actors Guild. But is Bullock enough? The movie stands at a decent 72% on Rotten Tomatoes, but there is a wide discrepancy between top critics (58%) and average moviegoers (93%). Critics don’t decided a movie’s awards success; however, they do have a very large impact. The critical champions of “The Blind Side” don’t seem to be incredibly passionate or fervent about it. In fact, most of them that do like it simply cite that it made them feel good and not much else. Here’s where it gets tough: trying to decipher voter mentality. It’s hard to tell what the Oscar voters are thinking about their ballots this year. We haven’t seen a year with ten Best Picture nominees in decades, so no one can be sure what to expect. Are we looking at one of the most unconventional lineups in memory? Or are we just going to be getting the same humdrum Oscar bait movies filling out the field? If the voters want to choose something that made them feel good, “The Blind Side” might find their way onto some ballots. I might not have been as inspired as some, but what better testament to the power of cinema is there than a film that has the ability to move you? In addition, if the voters want to dispel accusations that their selections are pretentious and removed from the general feeling of the American populace in general, “The Blind Side” might seem a natural beneficiary. It is a movie that shows how far a random act of kindness can go, and Americans love these heartwarming stories. “The Blind Side” might as well be a Lifetime or Hallmark movie. It trades the sports movie cliches (coach’s speech, dramatic championship game) for the inspirational movie cliches (the moment that changes a life, small choice that signifies acceptance). It is able to excel beyond a made-for-TV movie because it has its heart in the right place, yet it still feels like one because the focus doesn’t hit similarly. The story should be about Michael Oher (Quinton Aaron) and how he rose from poverty to play in the NFL. However, the filmmakers felt it necessary to shift the paramount concern of the movie to Leigh Anne Touhy (Sandra Bullock), the wealthy woman who made it all possible. It takes the achievement out of the inspiration, and a movie that aims to be heartwarming winds up radiating nothing but lukewarm feelings. Call it post-“Precious” syndrome, but the scenes that attempted to show Michael’s roots in poverty had remarkably little effect. I think the failure comes from a fundamental misunderstanding about films about triumph: in order for us to truly feel something when the hero comes out on top, we have to comprehend how terrible his situation really was. The film puts itself at an immediate disadvantage by giving us only fleeting glimpses of the neighborhood where Michael grew up, and even in those few scenes, it glosses over how truly dreadful it is to live there. The poverty is almost candy-coated; no real grit is assigned to it. Worst of all was the handling of Michael’s mother, a freewheeling drug addict who is deprived of her children by the government. Her brief appearance is so dazed that it hits with no impact, especially for those who have seen Mo’Nique’s character dish out abuse her daughter Precious. Sandra Bullock’s spirited and spunky performance (which was good enough to overcome her dreadful accent) atones for some of the errors the film makes with her story. The reason that Michael is able to succeed is because of a random act of kindness Leigh Anne makes after observing him walking the lonely streets with a plastic bag of laundry. But for some reason, the filmmakers don’t buy that as a viable reason for her to make all the sacrifices that she does, so they turn into an episode of white guilt. That emotion doesn’t really work well with inspiration, and the film nearly turns Michael’s biggest struggle that overcoming his race, not his past. The story should have been how one woman selflessly sacrificed her own resources to empower an underprivileged boy who then used that encouragement to succeed in ways he could not imagine. But by shining the spotlight on Leigh Anne, it is seemingly demeaning to the accomplishments of Michael. No doubt she was responsible for the opportunities, but it was him who seized them. NOTE: This “Oscar Moment” is a tad different from any of the prior ones. Rather than focusing on a specific movie, this post focuses on a particular category – in this case, screenplays. A part of the Oscar season that I particularly love is watching the studios promote their movies. Thankfully, my friends over at Awards Daily do a fantastic job of monitoring the “For Your Consideration” ads that are placed in Variety and other indudstry magazines. But as the Internet becomes bigger and more present in our lives, the studios have adjusted campaigns slightly over the past years. Now, they have set up “For Your Consideration” websites designed to promote their movies to the voters but also provide a place for average moviegoers to learn more about the movies simultaneously. A recent feature that most studios have graciously included on these sites is access to the screenplay of that movie in its entirety. Personally, I find these a great way to learn about the different styles of moviemaking in the race. Some movies draw heavily from their screenplay, others use it as merely a guideline. Therefore, I feel it to be my duty to impart the knowledge of this treasure trove of movie gold to any interest moviegoer reading this blog. Click on the links below and they will take you to the screenplay for that movie (I will update this page periodically with new screenplays when they become available). Enjoy, because the race is just beginning!